Even with all the exciting new car debuts at the 2018 LA Auto Show, the big news this week is that General Motors is slashing its car lineup, closing plants and laying off some 14,000 workers. The automaker cited a need to invest in EVs and autonomy, and a decline in interest in small cars and sedans across the board. But just how bad was it? This study from Jumpstart Automotive Media, a marketing research company that analyzes buyer interest and shopping patterns from more than 20 million shoppers, released this data after GM’s cuts were announced. Even though interest in “alternative fuel cars” (a wide-ranging term that probably mostly means hybrids and EVs here) is up considerably in 2018, interest in the Chevrolet Volt was down, and the segment leader is the Tesla Model 3—no surprise given the hype there. It’s possible that the Bolt EV, which boasts nearly 240 miles of range and is extremely livable, has weakened demand for the Volt hybrid—or served as a next step from happy Volt owners. Interest in the Buick LaCrosse was way down, as was the segment it was in. Even if interest in new models like the Cadillac CT6 was way up (and the XTS was slightly up too, perhaps for all the black car drivers out there) it was offset by a weakened demand in that segment as a whole. No matter how good the newest Chevrolet Cruze is, the Honda Civic is a titan that can’t be defeated. No doubt, a large number of American shoppers continue to turn their attention toward trucks, crossovers and SUVs of all sizes, and General Motors feels it’s in their best interest to shift their strategy in this direction as well,” said Colin Thomas, senior analyst, strategic insights & analytics. 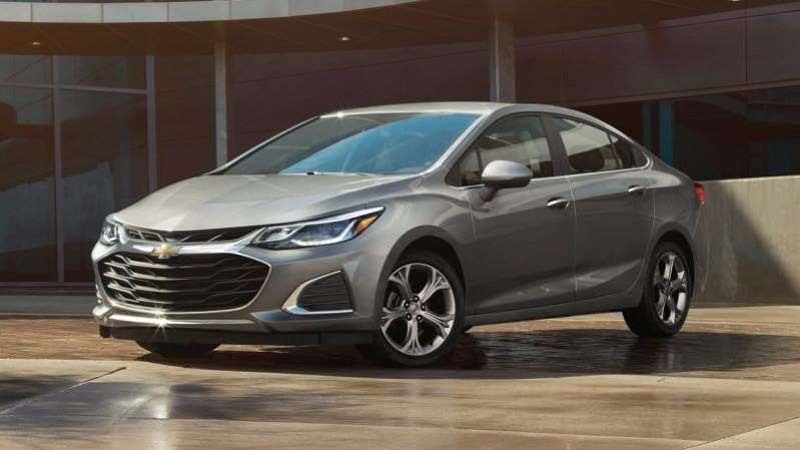 “While this strategy is in focus for GM, there is still a large population looking at cars, which means brands such as Honda, Toyota, Hyundai, and Audi could look to take an even larger share of the car and sedan market. We saw Fiat Chrysler and Ford do the same thing over the past year: pare back sedans and smaller cars to focus on more profitable crossovers, SUVs and trucks. GM’s strategy seems to be to make as much money off those as it can for now, while investing in the technology behind whatever’s next. But it’s not like nobody’s buying sedans. The Toyota Camry and Corolla sold a combined 700,000 cars in 2017. Ditto the Honda Civic and Accord. And the Nissan Altima and Sentra came in at around 475,000 last year. If you look at the historical sales figures of the top Japanese sedans, you’ll see a small decline in recent years, but nothing like the big drop-off in sales that have hammered the American companies. So in addition to the overall decline in sedan sales, there is a second, largely overlooked, dynamic taking place: Americans have only stopped buying American sedans, not Japanese sedans. This is so even though cars like the Ford Fusion are as good as any Japanese sedan. But why? Why? We discussed this in our story this week about how making good cars isn’t enough. None of those dead GM cars were segment leaders, but many of them were excellent—the Volt, Cruze and CT6 especially. GM’s cars are better than they have ever been. But as we noted, it still hasn’t been enough to get rid of the bad taste in people’s mouths that formed over decades of poor quality compared to Asian rivals. I still maintain that the SUV is king right now, and the ultimate proof of that is Hyundai, which has also suffered in sales for having a sedan-heavy lineup. The huge new Palisade SUV is supposed to fix that. So yes, GM’s cuts happened for a lot of reasons, including weakened demand in those segments and being unable to overcome bad reputations among buyers. The question is, how many of those cars will really be missed?